This is a concept solution for network administrators to make changes in network cable connection under control. 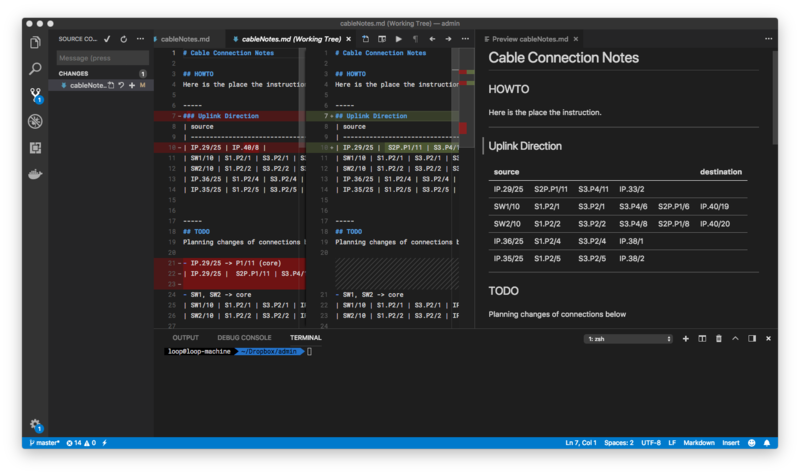 I show you my idea how to use developer tools like Git and VSCode to managing network cable connections, switches, patch panels, and cabinets. Logging changes is simple from today. It seems to me that it will meet my expectations. 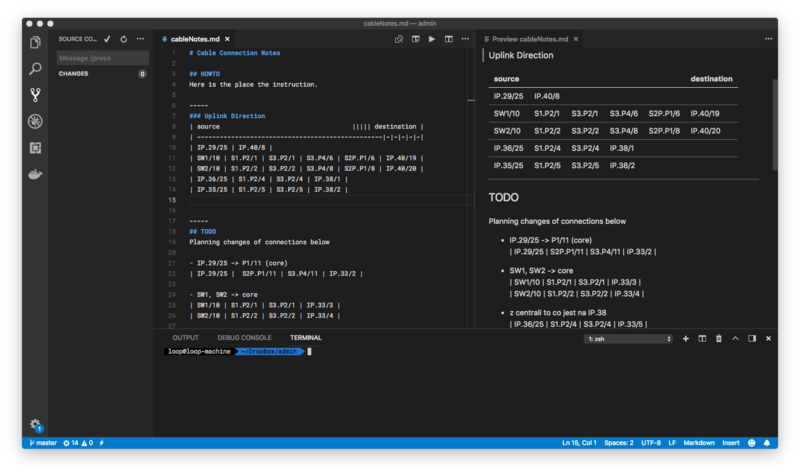 Code editor – Visual Studio Code. 5. Highlighting string – part of selected panel, switch, etc. 7. Using grep to see device connection in large file. 8. Preview modification in Code. TODO. For planned changes. To copypastying. It should be planned for using text tools in the future (like grep for example). You should have constant naming conventions. Think about the future. Do I have to talk about it? After changes and save file we use built-in Source control in VSCode. 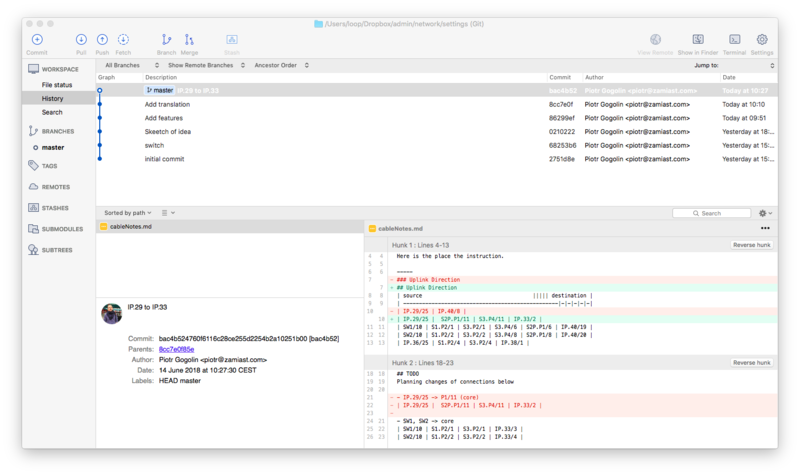 We can see our changes and make git commit directly from a little window on the top. Next Next post: Buty, buty, buty. Mój minimalizm w bieganiu.